Having seen the stunning visuals for the Giant Orb disco ball sculpture proposed for the 2018 Burning Man festival set in the Nevada Black Rock Desert, by Danish architects Bjarke Ingles and Jacob Large, we felt inspired to investigate some more recent spherical architecture. 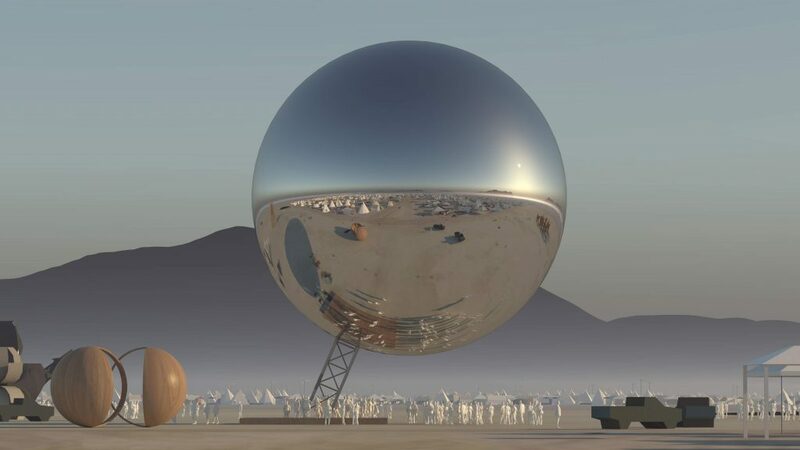 The Bjarke Ingles architect group launched its part crowd–funded Orb project (above) along with many other architects and artists hoping to fund and install a myriad of amazing sculptures at the hugely cultural, annual Burning Man event. Mainly self–funded by Bjarke Ingles group, the giant Orb — a 100ft diameter, inflated mirrored sphere, will hover 32m in the air. It will be supported by a 30–tonne steel mast and base, reflecting the entire festival and landscape. You can see it for yourself at Burning Man from August 26 to September 3. 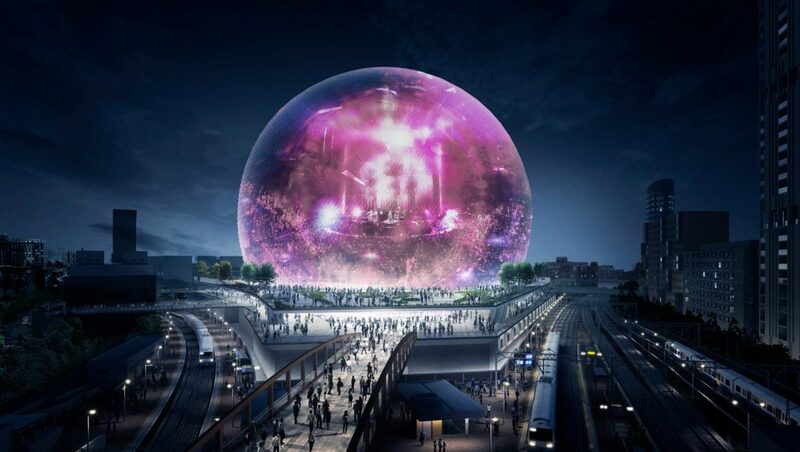 The Madison Square Garden Company has announced plans for a giant, spherical, 18,000-seat entertainment venue near the Queen Elizabeth Olympic Park in Stratford, East London. 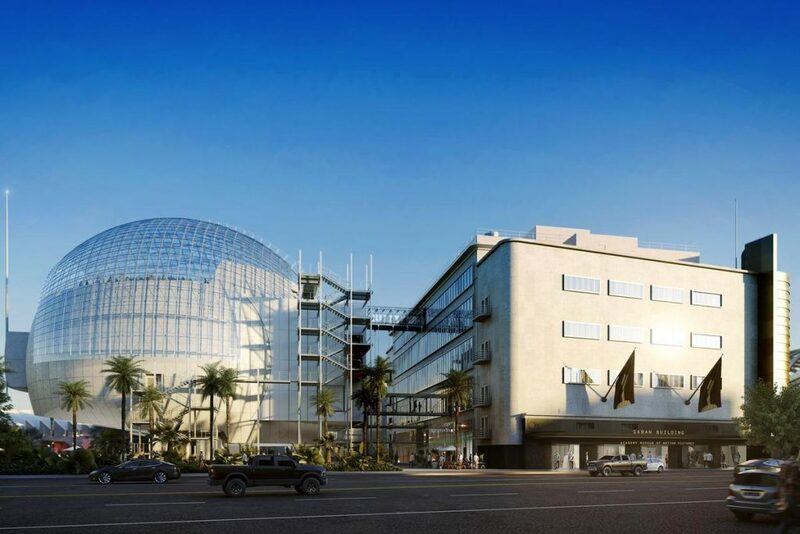 Designed by Populous architects, the exterior of the sphere will be covered in digital promotion screens, while inside traditional music and special events will be complemented by next-generation e–sport events on what is being billed as the “world’s largest high–resolution screen”. The recent construction of the Chinese Tianjin Binhai Library by Dutch architects MVRDV saw the design of a five-story space, which inside is framed by floor-to-ceiling, staggered bookshelves. 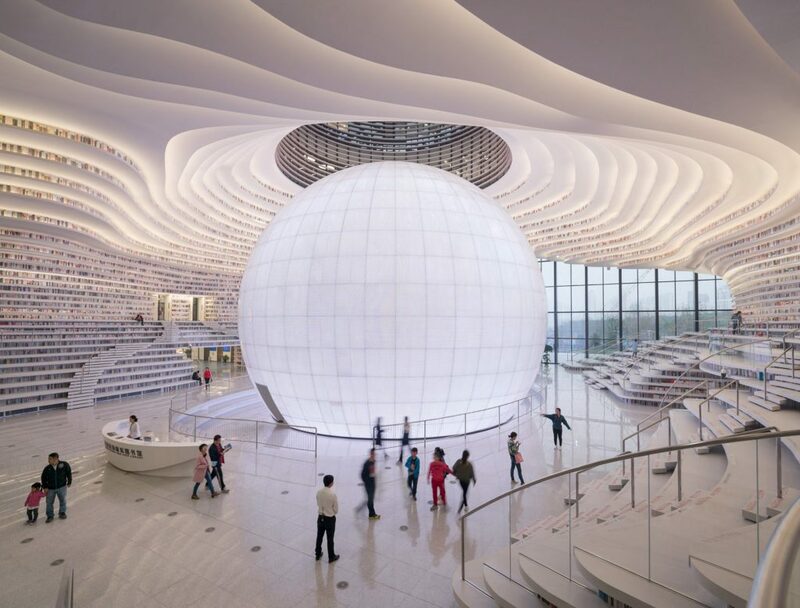 The entire library is the shape of an eye socket, which also features a huge pupil as a spherical glowing auditorium at its centre. 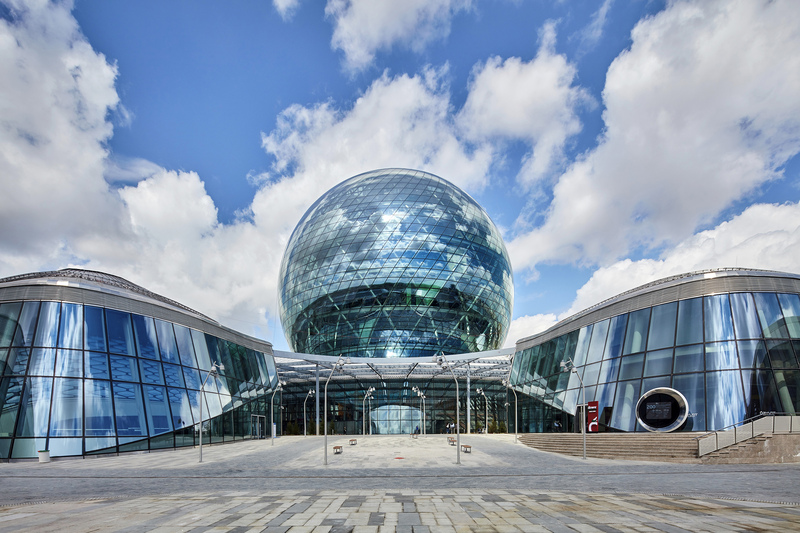 The Kazakhstan pavilion is a 262 feet diameter glass sphere created for the Kazakstan Expo by architects Smith and Gill, which now serves as the Museum of Future Energy. The building’s steel frame system forms a diagonal grid shell with rhombus–shaped, Italian–manufactured, double-curved and insulated glass fitted with LED illuminations and shading systems. And if all of the above still leaves you wanting more, then check out another couple of architectural spheres. Renzo Piano’s Movie Making Museum in Los Angeles (above) and Tokyo-born architect Shigeru Ban’s Seguin Island building built on the banks of Paris’s river Seine.